How about enjoying sunrise at the seaside from your bedroom's window? 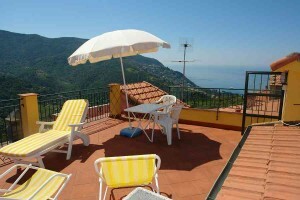 It's possible by renting one of our holiday homes with sea view in heavenly Liguria. 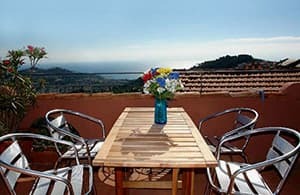 Have breakfast at sunrise on the terrace of your vacation house in Liguria and cast your eyes over the landscape right up to the sea. * Unless otherwise noted, distances are in driving minutes. ** Pools are open from the beginning of June untill the end of September unless otherwise indicated. Is there anything more beautiful than to start every day of your vacation like this: feeling the smell of freshly prepared coffee in your nose, the pleasant coolness of the morning on your skin and a breathtaking view from the bedroom which makes you start dreaming. Relaxation guaranteed! 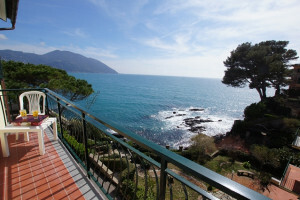 Liguria is a region full of variety and a great deal of natural diversity in Northern Italy. You can discover these optimally from your holiday house set in green surroundings, up on a hill near the sea or in the hinterland. The uniqueness of this popular region in Italy is really special. …and enjoying the unbelievable view of the sea in the process! You can always catch a fantastic view of the blue scintillating sea along the many beautiful hiking trails and mountain-bike paths so that your vacation becomes a real highlight. Hiking trails around Dolcedo, San Remo as well as Cinque Terre are highly recommended. 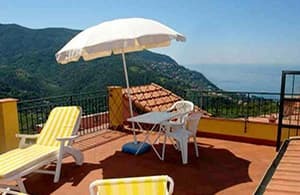 You will find our holiday apartments and houses in Liguria in the midst of a unique natural environment, in Ligurian villages and in Italy’s most beautiful coastal resorts. The detached holiday houses with a view of the sea in particular are popular with couples and families who would like to keep a distance from the daily stress at home and would like to relax in quiet natural settings. 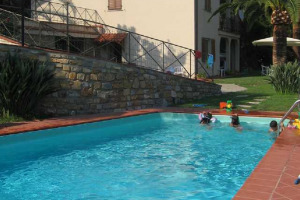 For guests who would like to get to know and to feel the Ligurian flair better, we recommend holiday houses which lie side by side with other traditional stone houses. 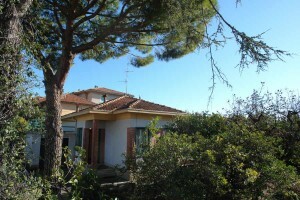 These houses are very impressive with charm of their own, and you can catch wonderful views of the coast from there too. Whoever spends his vacation in Liguria must also experience the busy coastal resorts, besides spending restful days in the holiday house. The wonderful and varied beach sections in the region lure all types of holidaying swimmers to the coast. 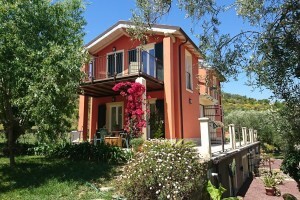 You will find the holiday house or holiday apartment that you desire even in the coastal resorts. 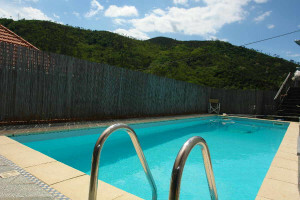 Please enter your desired time period, number of persons and preferences into our search and we shall show you which holiday properties are still available for renting. Click on the domiciles chosen by us personally and let the descriptions and photos of the properties convince you. And believe it, the views of the sea from our holiday houses will make you hold your breath once you get there – be it a house in Imperia, directly by the sea, in the hinterland or with a definite number of bedrooms. We, the BlumenRiviera team, will advise you accordingly when you are making your choice and together we shall find the perfect holiday house for your vacation!